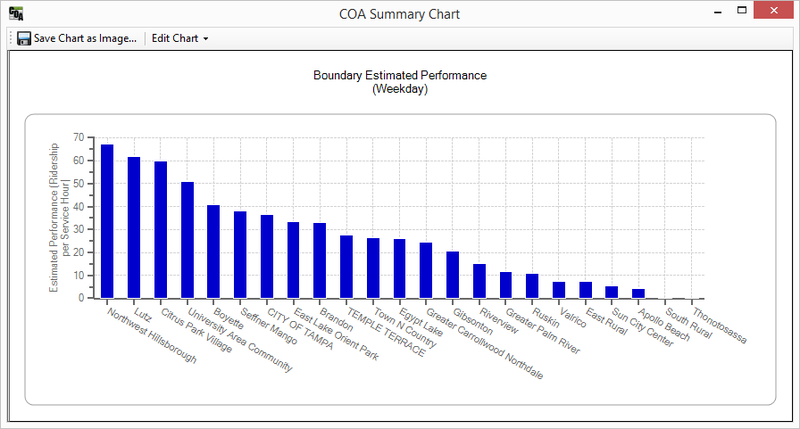 Evaluate Service and Performance per User Defined Areas- Analyze service levels, ridership (observed and predicted) and performance within user defined spatial areas. Spatial areas can be jurisdictional boundaries, project areas, corridors, or any defined area(s) the user wants to summarize. 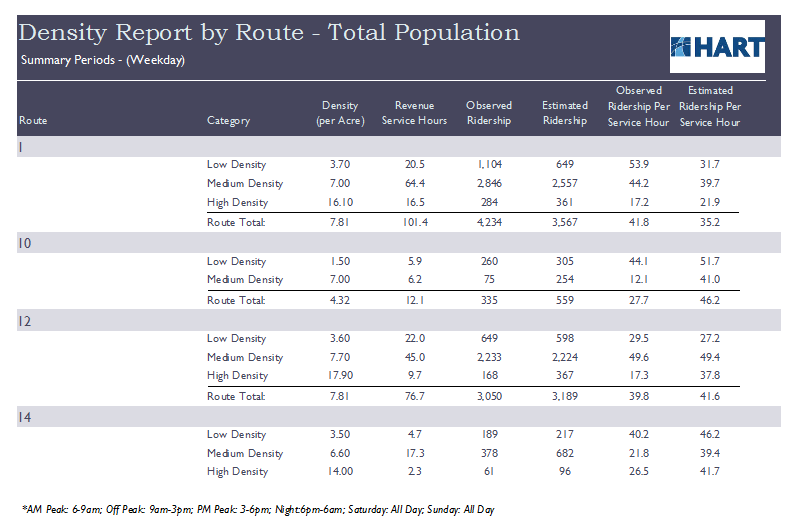 How many revenue miles does Route 34 traverse in areas with low density households for an average weekday? For AM Peak only? What is the current system performance within high density employment areas vs. low density? What is the average minority population density traversed for the system? For particular routes? What is the performance within high density minority areas? 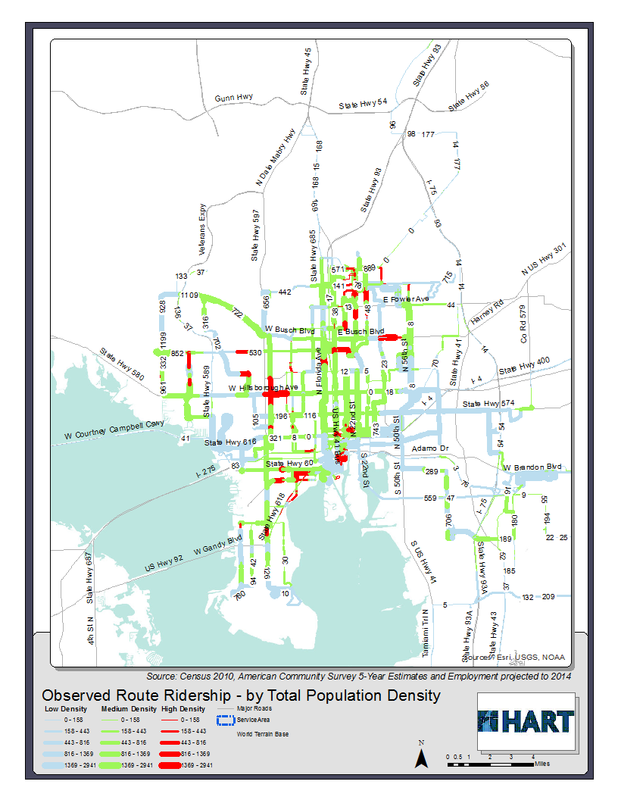 What routes traverse high density minority population areas? How many revenue service miles? The toolset comes with the ability to create multiple analysis instances through a wizard-driven setup interface. Pre-formatted maps, reports and charts are available for instance and can be filtered to produce thousands of report combinations.